Fred's Humboldt Blog: VOTE LOCAL CONTROL! Didn't you oppose Measure T Fred? Did you decide to change your stance? Measure T was a sham from the get-go. "I'm sure we won't hear any criticism of this fundraiser from the local lefties"
Have you asked?I'll tell you that there are quite a few of us supporters quite disappointed.I've previously posted on the mirror my personal thoughts,and I find her out of town donations deplorable.And I assume that you are making your assumption that others disappointed should be blogging about it,even though they have no interest in participating in the blogosphere. Also,that doesn't meant that the challengers are any better qualified to serve on the board. Didn't you oppose Measure T Fred? Did you decide to change your stance?. I'm assuming you did support Measure T? Which makes my point, assuming you find no problem with a fundraiser in Sacramento. As for me, yes I opposed it and no, I haven't changed my stance. I'm simply commenting on the hypocrisy. 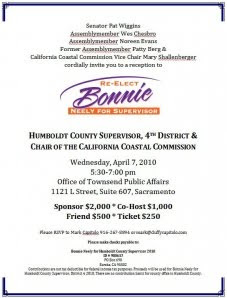 Even if one doesn't care much about funds and influence from outside the area as per Measure T, it would still seem inappropriate for a city council candidate from Eureka to hold a fundraiser in another city, which is akin to what Bonnie is doing here. I'm not saying it is illegal, or that it should be, just inappropriate. I voted no Fred, but thanks for assuming the opposite. In my mind, Bonnie is simply following the rules. If money is there for the taking, why not take it? You can guarantee every candidate, except maybe Mr. Little, will take whatever they can get. If you really feel strongly against such stragities, then change the rules. Chris Crawford has been talking about it for some time. Until then, it's fair game. My vote is currently for Bonnie, but for me, she must prove herself in the debates. If her opponents come across as qualified, then I could be swayed. Actually, Leonard is closing in on Bonnie in my book. As I've said here more than once before, I'm ambivalent on nearly all campaign finance "reforms" or restrictions and I understand your position. I might even be in partial agreement with it. Still, even I would like to see this have some semblance to a race for representation of a district with the county. She seems to be more interested in representing various interests around the state by this Sacramento event. I certainly would still comment on out- of- area donations accepted by a Measure T supporter, but I don't know that I would be all that bothered by it as a matter of personal principle as I am with the Sacramento thing. Actually holding a fundraiser out- of- county goes beyond that, imo. Not sure I can articulate just why that's different than simply having funds mailed to her from out of the area. Regardless, she certainly seems to have no concern in regards her supposed past support for "local control". Looks like the return address is probably someone's Sacramento staff. 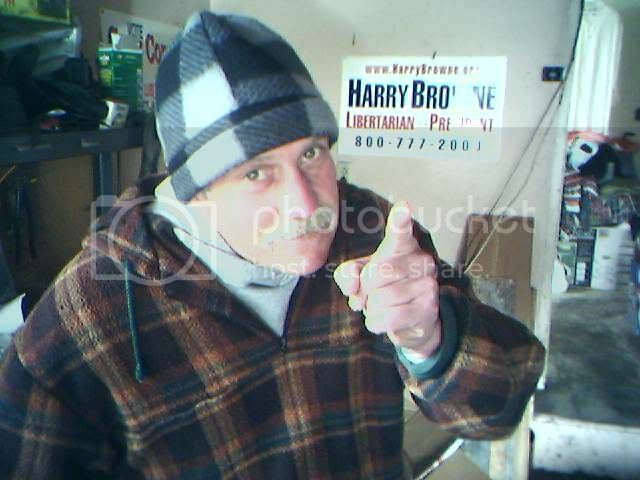 Chesbro? Yet she's going to Sacramento to get money from across the state? I don't recall Glass holding a fundraiser in Fortuna. I do recall him going down there and addressing the Fortuna City Council to try and convince them to join the Humboldt Waste Management Authority, or something along that line. Well he's on their board,so it's not all that inappropriate.